+91 9814476977 or Send Inquiry !! The temple is believed to have been built by Adi Sankaracharya and is one of the twelve Jyothirlingas, the holiest Hindu shrines of Lord Shiva. The older temple existed from the times of Mahabharata, when the Pandavas are supposed to have pleased Shiva by doing penance in Kedarnath. The temple is also one of the four major sites in India's Char Dham pilgrimage of Northern Himalayas. At the entrance of the temple is the statue of Nandi, the divine bull of Shiva. 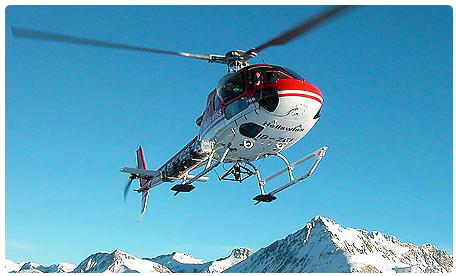 To ease the 22 km trek of kedarnath, a service has been started called the kedarnath helicopter service. Kedarnath helicopter services have made it convenient for pilgrims to visit the Kedarnath Ji shrine at a reasonable ticket price, beside priority Darshan Charges. Devotees would get one hour thirty minutes at Kedarnath for Darshan. the tickets for Kedarnath Helicopter Service have to be booked in advance. The Holy Himalayas up in the misty heights of the majestic Garhwal Himalayas that adorn the magnificent state of Uttaranchal, awaits a rejuvenating spiritual experience for the devout. If the scriptures of HINDU RELIGION are to be believed, the holy centres of Gangotri, Yamunotri,Badrinath and Kedarnath - collectively called theChardham (meaning four sacred spots) - are the mostsacred of all pilgrimages. Undertaking a journey to these places will not just wash away one's sins butensure release from the cycle of birth and death.THE honour conferred on these places is not surprising. For one, they are all in the icy Garhwal ranges andregarded as the most sacred of all Himalayan ranges.It is also said that heaven and earth converge inthese holy spots, and to be born or die here is a boononly the very fortunate have. The Chardham must be visited from left to right -beginning with Yamunotri, going on to Gangotri, Kedarnath and culminating the journey at Badrinath.This route follows the Hindu tradition of parikrama orclockwise circumambulation.